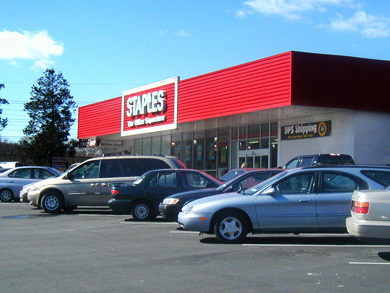 This mixed use (retail and office) shopping center is two-stories with AAA tenant Staples. PeriLee Cleaners and Hair Dimensions were voted 2007 Best of Westchester dry cleaner and hair salon. Other tenants include Allstate Insurance - Marco Marsella Agency, Hudson Valley Chiropractic & Nutrition Center - Dr. James Striano, Director, Silverman Eye Care - Dr. Bonnie Silverman, M.D. Silver Optics Eyewear, Nationwide Insurance - Wolfson Associates, ABC Sprainbrook Barbershop, Fra Deli and Value Plus Pharmacy. Get Property Availability Updates via Twitter.